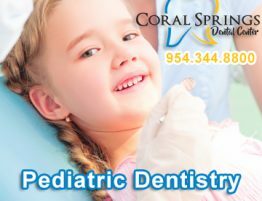 Choosing the best Coral Springs dentist will ensure you receive the highest quality of dental healthcare for not only yourself but also your family. 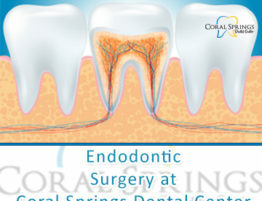 Regular dental care can prevent minor discomforts from becoming major issues like losing teeth or tooth abscesses which are not only unpleasant and uncomfortable but also quite expensive. 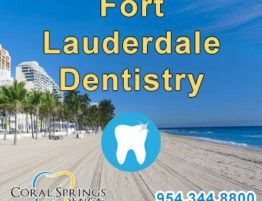 Finding the right dentist for you and your family may seem challenging considering how many dentists may be near you. 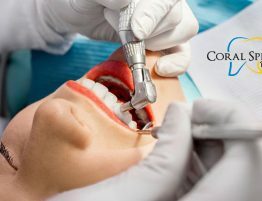 Furthermore, most people are not aware that there are a number of easy to follow tips that can help them navigate their way through the choices and find the very best dentist for them and their family. Asking your family doctor or a trusted local pharmacist for a referral. Asking family members, neighbors, friends, and even co-workers for recommendations. If you and your family are moving, ask your current dentist to make a personal recommendation. Reach out to your local or state dental society. The American Dental Association provides a comprehensive list of local and state dental societies on its consumer website. Finally, the American Dental Association recommends calling and/or visiting more than one dentist before choosing the best one for you and your family. 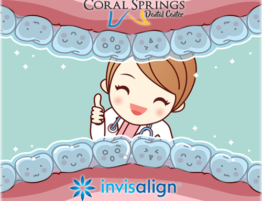 Although these suggestions can be helpful they do not provide a way to effectively narrow down for selecting the best Coral Springs dentist that can provide you with high-quality dental healthcare. 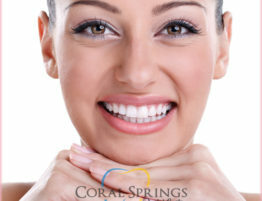 In order to make the best choice, it is important to consider the following factors when choosing a dentist. Are They Members Of Professional Associations (like the ADA)? Dentists who are members of professional associations such as the American Dental Association agree to follow strict guidelines set by the ADA Code as a condition of their membership. The primary components of these rules of conduct include: The Principles of Ethics, Advisory Opinions, and the Code of Professional Conduct. 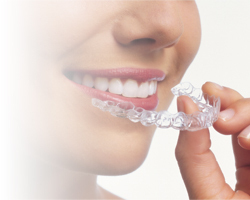 These guidelines ensure that the dentist conducts all their healthcare with the utmost integrity and professionalism. Does The Dental Office Offer Alternative Payment Options For Non-Insured Patients? If you or your family does not have dental insurance then it is very important to consider whether or not a dental clinic offers financing options. Many dental practices require some form of payment upfront which means patients must pay for whatever services they require. What Are They Office Hours And Where Is It Located? 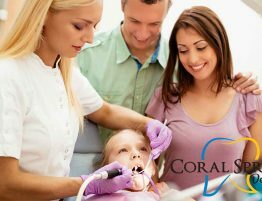 An important factor in considering what is the best Coral Springs dentist for you and your family is how convenient is it to your schedule? Finding a dental practice close to your home or work can help make getting dental care convenient but it is important to understand what the office hours are as well. Ask the dental practice what their hours are and if they offer early morning or evening appointments. Remember that convenience plays an important role in ensuring that you and your family maintain healthy teeth and gums.